This DVD is 'Region Free' which means that it will play anywhere in the world, but only in PAL format. 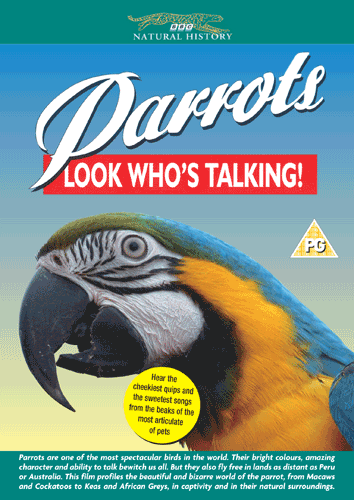 This has got to be one of the most fascinating DVDs on parrots. First broadcast on the BBC Natural History series, the programme covers a host of aspects dealing with parrots and parakeets. This film profiles the amazing world of parrots, their antics in captivity and in their natural surroundings from budgies to Hyacinths and interspersed with two African Greys who introduce the sections. This is a DVD not to be missed with an appeal for all the family..